Ms. Tyrrell is an Assistant Center Chief with Illinois' Statewide Terrorism & Intelligence Center (STIC) located in Springfield, Illinois.� Ms. Tyrrell oversees the Public Safety and Strategic sections, which includes the Infrastructure Security Awareness (ISA), Fire Service, Traffic Intelligence, and School Safety Programs. These programs focus on information sharing initiatives in an all-crimes, all-hazards environment. 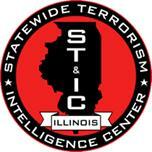 Ms. Carter has been assigned to the STIC since March 2010. Ms. Carter holds a Bachelor of Arts degree in Sociology/Anthropology from the University of Illinois. Ms. Carter also holds a Master of Science in Criminal Justice Sciences from Illinois State University.